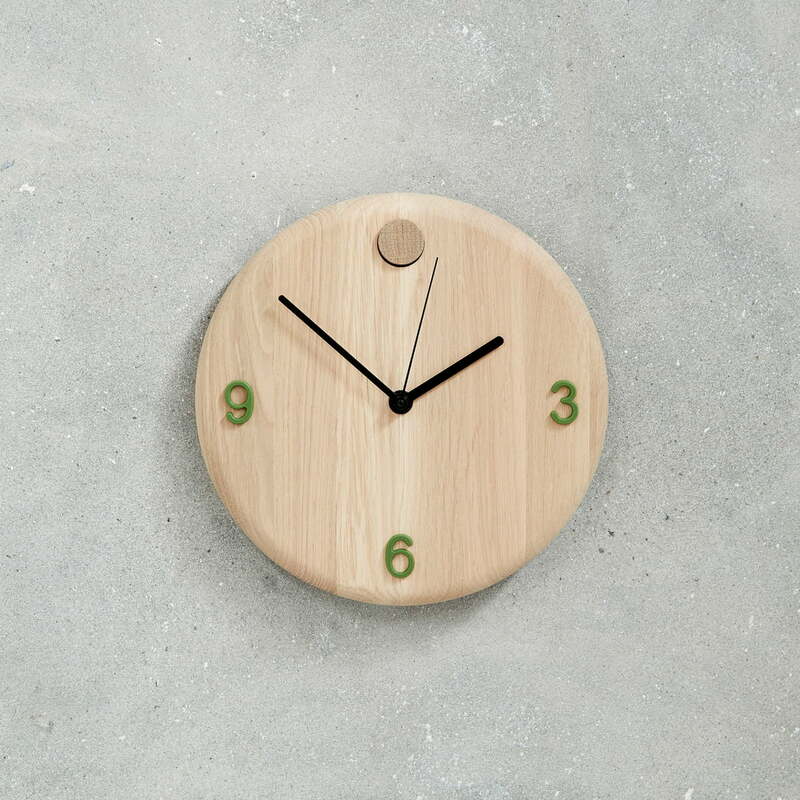 Wood Time is an elegant wall clock, designed by Henrik Sørig Thomsen for Andersen Furniture. 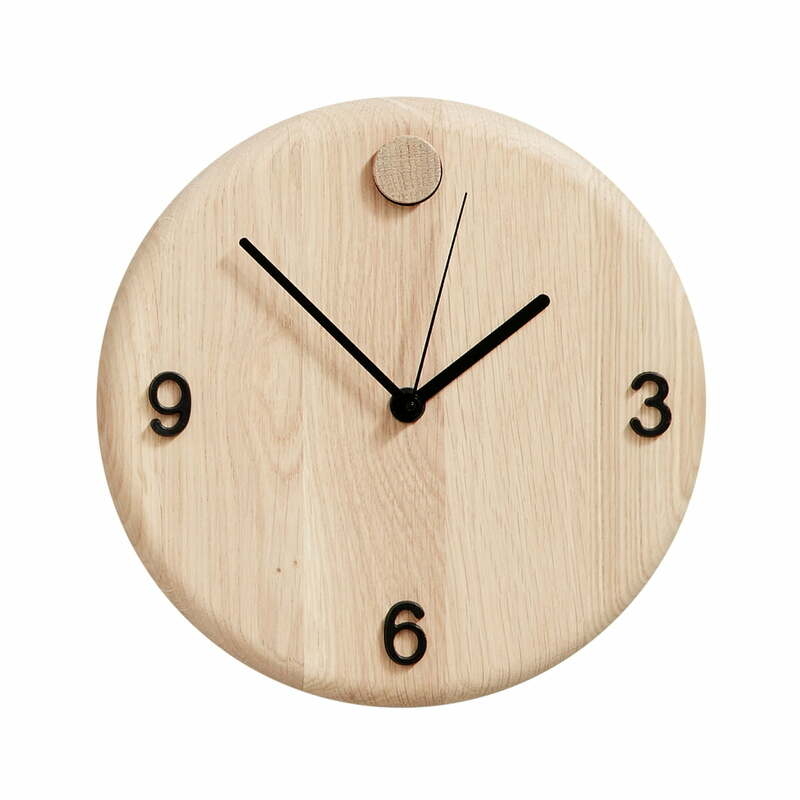 The very simple clock face is made from solid oak, giving the circular clock a warm and natural look. The numbers 3, 6 and 9 are written on the clock-face, the 12 is symbolized by a piece of wood. The clock becomes a unique home accessory thanks to the interchangeable numbers (3, 6, 9) in green, orange or black. The numbers are included in the scope of delivery and can be easily exchanged as you like. The time is displayed with hour, minute and second pointers in black. Individual image of the Wood Time clock by Andersen Furniture. 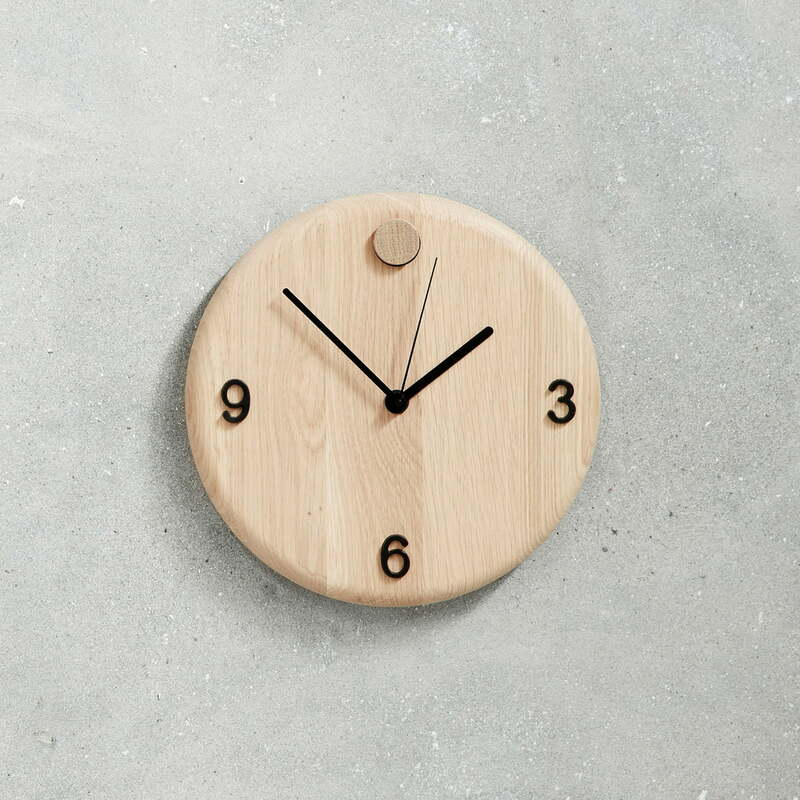 Wood Time is an elegant wall clock, designed by Henrik Sørig Thomsen for Andersen Furniture. 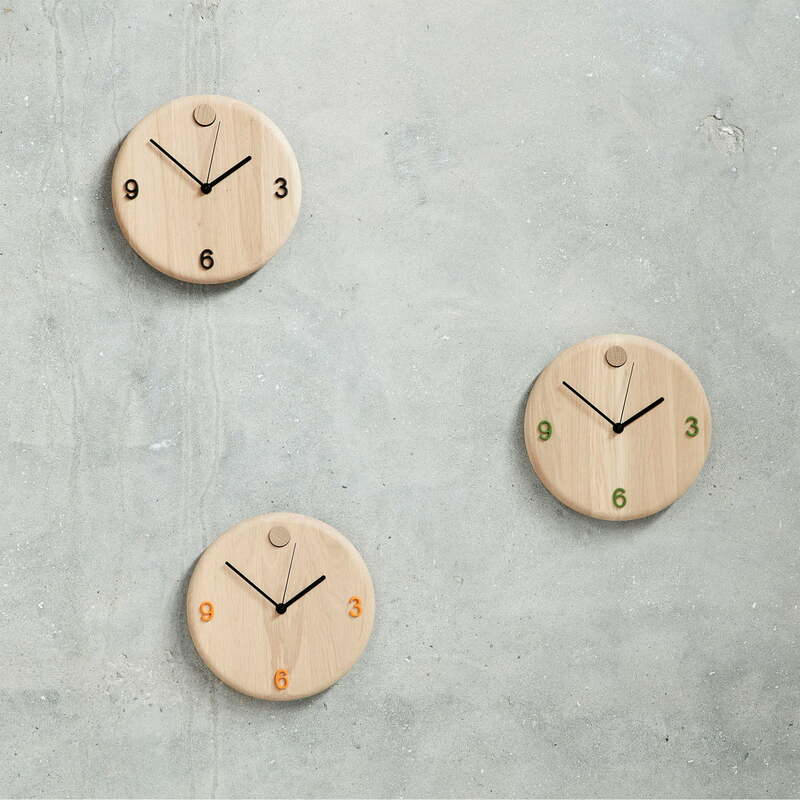 The clock becomes a unique home accessory thanks to the interchangeable numbers (3, 6, 9) in green, orange or black. The numbers are included in the scope of delivery and can be easily exchanged as you like. Ambience image of the Wood Time clock by Henrik Sørig Thomsen for the Danish label Andersen Furniture. The clock is perfect to show the time on the kitchen wall. Product view of the Wood Time clock by the label Andersen Furniture with green numbers. The time is displayed with hour, minute and second pointers in black. 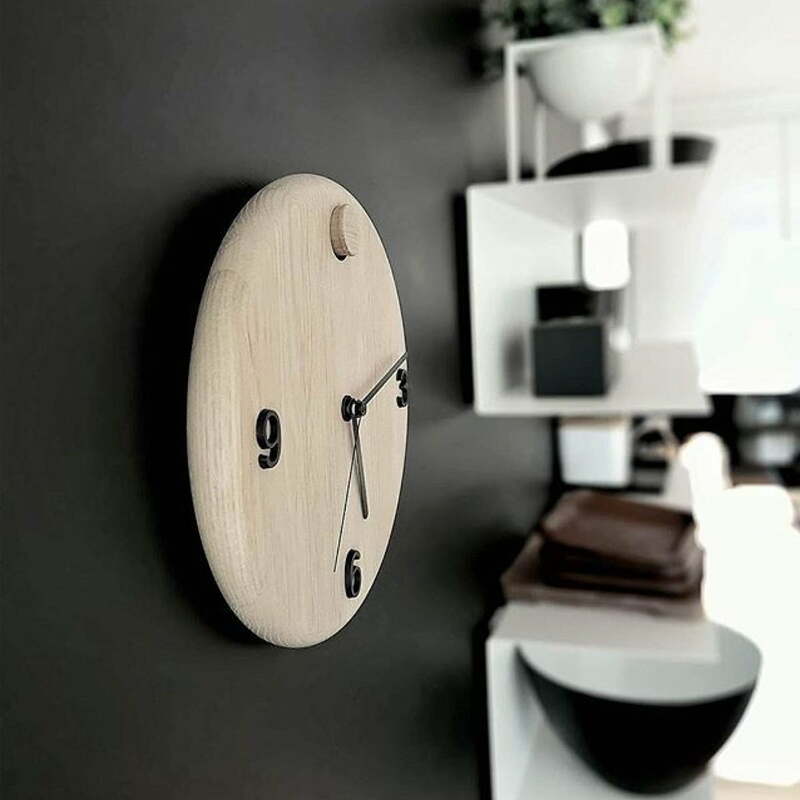 The very simple clock face of the Wood Time clock by the label Andersen Furniture is made from solid oak, giving the circular clock a warm and natural look. On the clock-face of the Wood Time wall clock by the brand Andersen Furniture are the orange numbers 3, 6 and 9, the 12 is symbolized by a piece of wood.